For any old Pride mark such as myself, the announcement of a brand new Japanese promotion is always something to take note of. However when that announcement is made by someone like Nobuyuki Sakakibara, co-founder and former president of the iconic old promotion itself – well, it’s another thing entirely. In early October, Sakakibara held a press conference in Tokyo where the new organisation, at first rumoured to be called Samurai FC, was confirmed as RIZIN Fighting Federation. We had known for quite some weeks that the former PRIDE exec had been planning an old-school New Year’s Eve bonanza in Japan. A night that traditionally hosted some of the biggest fights in combat sport, with major promotions going head to head on Network television and capturing the attention of the Mixed Martial Arts public both in Japan and around the world. Going all the way back to Antonio Inoki’s ‘Inoki Bom-Ba-Ye’ card in 2001, the first of the annual event to feature non-worked matches. Starring Nobuhiko Takada, Don Frye and the MMA debut of French k1 icon Jerome Le Banner, Inoki would start an NYE tradition that would snowball in the coming years. The success of this and the following years outing saw the event leave the Saitama Super Arena and move into an outdoor football stadium elsewhere. The biggest dogs in the business, PRIDE FC, were only too happy to fill the void in Tokyo. PRIDE would host an event headlined by Little Nog vs Kazushi Sakuraba, on the same night that k1 would promote ‘PREMIUM 2003 Dynamite! !’ in front of 47,000 fans at the Nagoya Dome. From then on, every year the three would go head to head, with iconic fights such as Akebono vs Royce Gracie, Big Nog vs Josh Barnett, Semmy Schilt vs Ernesto Hoost and Mark Hunt vs Wanderlei Silva all taking place across various promotions in the next few years. Even after the demise of PRIDE, the big shows continued, with last years Inoki Bom-Ba-Ye show headlined by the recently retired Mirko Cro-Cop’s knockout victory in his rematch with Satoshi Ishii. A regular fixture on many of those shows, with his bouts against Big Nog at PRIDE Shockwave 2004 and Satoshi Ishii at Fight For Japan in 2011 headlining major shows, RIZIN’s debut is notable for the return from his self-imposed MMA exile of The Last Emperor, Fedor Emilianenko. Originally set to face Indian kickboxer Jaideep Singh, the lukewarm reaction to those rumours appear to have convinced Sakakibara to change his mind. Now expected to compete in a rubber match with the man who defeated him via doctors stoppage at Rings: King of Kings back in 2000, the master of the TK Guard, Tsuyoshi Kohsaka. Whilst the change of opponent has only slightly warmed the reaction from lukewarm to tepid, , nonetheless the longtime Pound-for-Pound king and revered Russian’s return will be a keenly followed event. 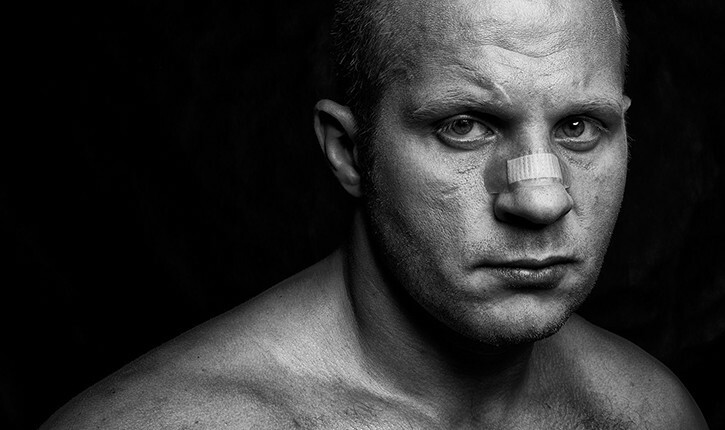 News that Fedor will be training in Holland for the bout, as he did for his final few fights including an impressive win over Pedro Rizzo has certainly whet the appetite. Though the return of Fedor is undoubtedly the star attraction, RIZIN will in fact be a three day showcase, with events on the 29th and 31st sandwiching a fan day on the 30th. The 29th of December will showcase an intriguing battle between two Japanese icons, the Gracie Hunter Kazushi Sakuraba and longtime DREAM, Shooto and One FC standout Shinya Aoki. Sakakibara announced that he attempted to lure Mirko Cro Cop and Wanderlei Silva to compete, and also discussed the possibility of Royce Gracie’s return to MMA, against either UFC veteran Walid Ismail, or recent Kimbo Slice ‘victim’ Ken Shamrock. A fight that has since been made for next February in Bellator. Scott Coker’s organisation will still be involved in RIZIN though, with their talent sharing relationship starting with ‘King Mo’ Lawal, who will represent Bellator in an 8-man tournament. The rest of the field is yet to be named. A professional MMA debut for rising Japenese star Rena Kubota is also on the card, the young kickboxer has spent much of her career competing in Shoot Boxing, where she has won a number of championships already at the tender age of just 24. Kubota looks like a Cosplay model and seems ideally suited for stardom in Japan and will face fellow newcomer, Italian Jleana Valentino. She will be the female co-attraction, alongside another debutant, the highly decorated Gabi Garcia. Standing 6ft 2” and holding multiple World and ADCC Gold Medals, the former TUF assistant coach will take on Tongan pro wrestler Lei’D Tapa in what is expected to be something of a squash match. Elsewhere on the card, and a highlight for combat sport hipsters all over (such as your writer), legendary Dutch kickboxer and shootfighter Andy Souwer will make his MMA debut at the age of 32 against Yuichiro Nagashima, a Japanese cosplay fighter(?). Whilst there are rumoured bouts for Estonian Sumo Wrestler Kaido Hoovelson, and Matt Hume’s ONE FC Bantamweight champion Bibiano Fernandes. Most recently, and a year after his MMA debut former ADCC Gold Medal winner and regular Metamoris star Kron Gracie returns. The son of the iconic Rickson Gracie, Kron is the rising star of the Gracie clan and his aggressive guard is unique in top level MMA today. Kron will be looking to go 2-0 against Asen Yamamoto, nephew of the legendary Kid Yamamoto’, who is himself making his MMA debut. Regardless of any criticisms, those that say they are relying on gimmick fights or has-beens, if this event goes to plan it will undoubtedly be a roaring return to form for Japanese MMA. We even have an old-fashioned network TV battle subplot to enjoy. With a multitude of legends already booked, and an array of fascinating bouts still in the works, you’ll be hard pressed to find an MMA fan who won’t wish they were in Tokyo this New Year’s.